NEW in 2018! Hippy Bus or Hippie Van charm bracelet. 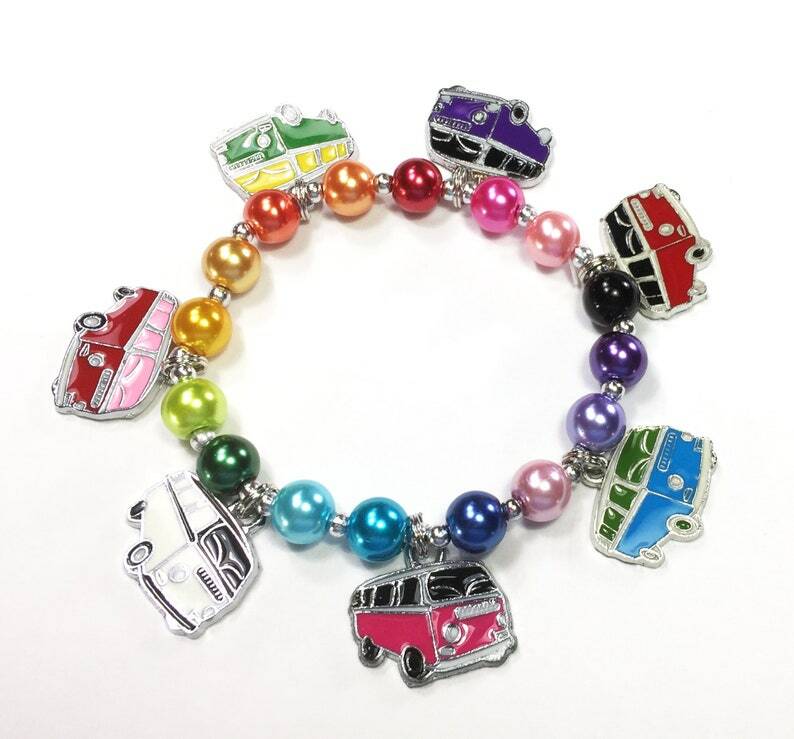 7 different van charms on one bracelet! For the fun peace loving, flower child in you. This makes are great retirement gift. ***This item is VERY limited! These charms are no longer available and I only have 3 available. Once they are sold out it will be redesigned with only 5 vans. This beautiful bracelet is made with high quality glass pearl beads and enameled charms. 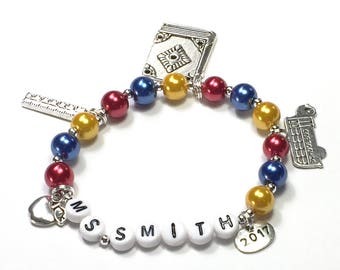 This bracelet shown is a teen size 6 7/8". 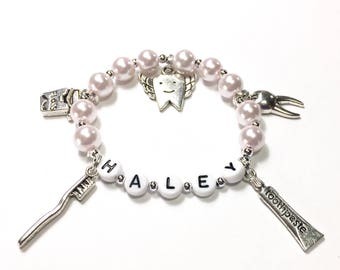 If you choose a different size or to have it personalized the number of pearls will vary. Choose from our suggested colors or customize it for the recipient. View our pearl color chart in the 6th picture. 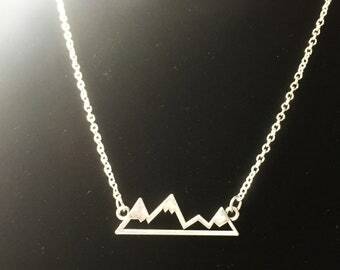 If desired be sure to include the personalization in the message to seller box at checkout.